Logitech today introduced what the claim to be the fastest gaming mouse ever made, the Logitech® G402 Hyperion Fury™ Ultra-Fast FPS. The Hyperion Fury features Logitech’s exclusive Fusion Engine sensor technology that can track over 500 inches per second (IPS) and Logitech’s Delta Zero sensor technology for accuracy. The Fusion Engine in Hyperion Fury, created by Logitech engineers, aims to solve a problem many FPS players have: their mouse can’t track as fast as they can move. 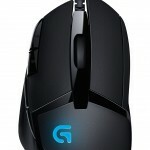 By combining optical sensor technology with an accelerometer and gyroscope, Logitech claim to have overcome the problem. A 32-bit on-board ARM processor powers the Fusion Engine in Hyperion Fury providing tracking speeds exceeding 500 inches per second. 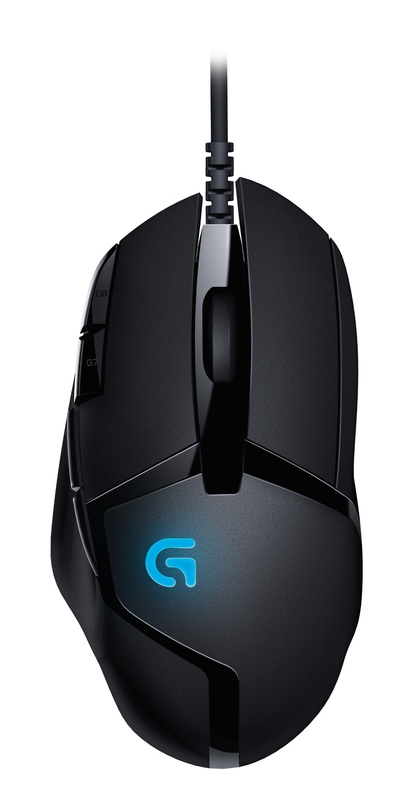 Logitech have used lightweight materials and low-friction feet allow for high speed moves. 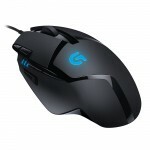 The Hyperion Fury features eight programmable buttons that can be configured for complex macros or single keystrokes using Logitech’s Gaming Software. Your personal configuration can be saved to onboard memory.